Expectations of fundamental changes in the nature of governance in Iraq are very low, but ending the Da'wa's control over the country could be acceptable at this stage by large segments of the party's disaffected Iraqis and those who harbor its disastrous consequences. BAGHDAD - The Sadrist movement led by Iraqi Shiite cleric Moqtada al-Sadr closed the door on speculationthat he might enter any parliamentary alliance that includes former Prime Minister Nouri al-Maliki to form the largest bloc in parliament capable of forming a new government. Disasters affected Iraq, foremost of which is the fall of one-third of the country's territory, however, the organization of Dahesh and the consequent loss of human and material losses. The current trend of rejection of the party to include Maliki's "Islamic call" when he accepted the possibility of accepting the return of the current Prime Minister Haider Abadi to the post, resigned from the party, which took the leadership of the country during the past years, and is no longer acceptable to the majority of Iraqis due to the shallow results of the trial of governance, Political, security, economic and social. Sadr's position on Maliki and his party is a result of accurate knowledge of the extent of the Iraqi street's infamy on everything related to the party. It seeks to meet the "psychological need" for the Iraqis, in the knowledge of the limited possibilities of change in the country and the difficulty of carrying out radical reforms affecting the essence of the political process, Internal and external balances controlled by. The position of the Sadrists from Maliki and his party after the denial of the Kurdistan Democratic Party for his alliance with coalition rule of law led by al-Maliki, led by Hadi al-Amiri, to form a new government, to confirm the widening circle of rejection of the Dawa Party and its leader. The current movement, which sponsored an electoral alliance under the name of "Saron" and won the first place in the May elections with 54 parliamentary seats, under pressure from Iran to neutralize the leadership of the next government or reduce its role in it, being the least Shiite currents of Iraq's confidence in Iran, The slogans of national decision-making and the reduction of Iranian interference in the internal affairs of the country. 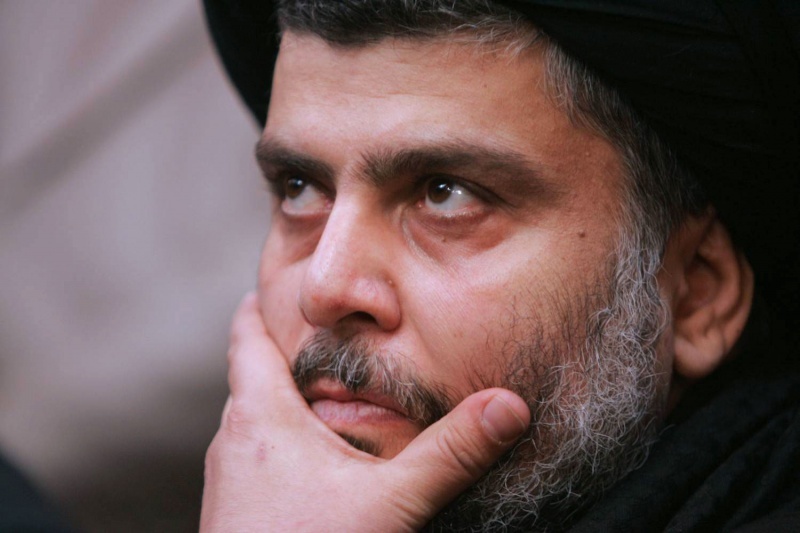 Sadr is among a handful of Shi'ite leaders who are not close to Tehran. His supporters chanted after the announcement of the results of the last elections in the center of the capital, "free free Baghdad .. Iran by land," in reference to their resentment of Tehran's broad influence in a country plagued by corruption and fueled by violence for many years. Since the overthrow of the former Iraqi regime in 2003 by US forces and its British ally, Washington and Tehran play an important role in the negotiations of political blocs to form Iraqi governments. It was among the scenarios traded among the Iraqi political circles that the Sadrists resorted to the pressure of Iran, and in order to maintain their chance to maximize their role led by the country in the coming period, to the alliance with Nuri al-Maliki, the biggest political opponent over the past years. However, the political bureau of Muqtada al-Sadr categorically denied that the alliance with the leader of the rule of law "is out of the question." "Maliki is responsible for what happened in Mosul and other cities of Iraq, because he was the prime minister and the commander-in-chief of the armed forces in the period that coincided with the fall of areas of the country, however," the official said. He called al-Asadi al-Maliki to "expose the implicated, and hold them accountable for the blood of Iraqis who shed, and their lands that were occupied, and their destroyed capabilities, and their symptoms, which laughed and violated." In a press statement on the same subject, al-Asadi said that the Sadrist movement and many other political blocs required Haider Abadi to resign from the membership of the Dawa Party for his candidacy for the post of prime minister for a second term. The Sadr office official revealed that there are understandings between the five blocks are "Saron" backed by the Sadrist movement, and "victory" led by Prime Minister Haider Abadi, and "conquest" led by Hadi Amiri, and "wisdom" led by Ammar al-Hakim, Led by Iyad Allawi, explaining that "the coming days may witness a meeting between the parties mentioned, and may lead to the formation of the nucleus of the largest bloc that will form the government." Some forecasts suggest that current Prime Minister Haider al-Abadi has the potential to hold the post for a second term on condition that he announce his resignation from the Dawa party led by his predecessor, Nuri al-Maliki. Al-Asadi said that the resignation of Abadi from the party is a demand of most of the political blocs, as well as Muqtada al-Sadr, to "be the one who takes over the post of president of all of Iraq," adding, "We have an experience that most of the officials when they assume a certain responsibility, Their party affects their work and shows the influence of the party is evident in some joints. " And on the possibility of reconciliation between the Sadrists and Maliki, al-Asadi said that Sadr's opinion is "clear in this matter is that Maliki is willing to acquit the charge of what happened during the years of his rule or to bring the defaulters to justice, otherwise there will be no review of the situation with him."